The 12th annual CrossFit Games is coming soon! Watch muscle-bound crossfitters flex their pecs, jump through hoops, and lift insanely heavy objects as they put their bodies to the ultimate test. Enjoy the action from anywhere in the world when you tune in with a VPN. 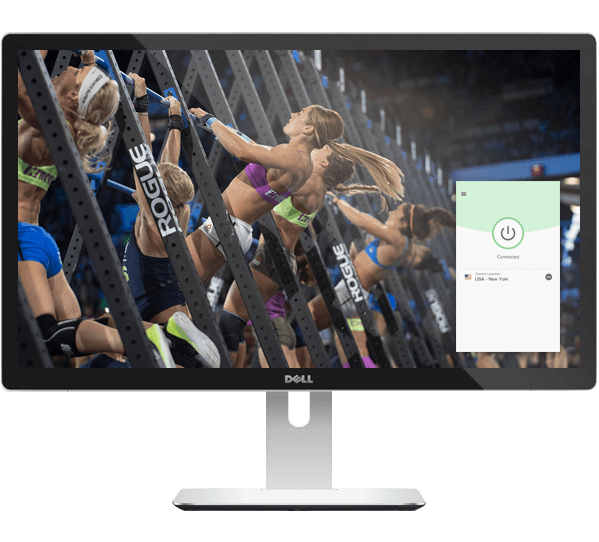 Why use a VPN to watch the CrossFit Games? A VPN stands for virtual private network. It’s a simple way to encrypt your traffic and provide extra security. When you connect to a VPN server location, you’re able to take on the server’s country’s IP address—giving you access to all the websites and content available in that area. ExpressVPN has more than 140+ VPN server locations in 90+ countries and counting. That’s a lot of options and a lot of new ways to watch sports. See all streaming options below! After you’ve activated the app, connect to any VPN server location in the US. Next, head to http://espn.go.com/watchespn/ and search for the CrossFit Games. This year’s Games are also being streamed via CrossFit’s official YouTube channel, but there’s a catch: They’re only available for viewers outside the US. Facebook’s also getting in on the action with some juicy behind-the-scenes clips. You can view the exclusive clips on CrossFit Games’ official Facebook page. Worried about missing the live streams? Don’t sweat it! The 2019 Crossfit Games will be held between July 31 and August 4 in Madison, Wisconsin. Who will be crowned “Fittest on Earth”? Which event are you most looking forward to? Is it the powerlifting, the super squats, or the extreme gauntlets? Whatever event you’re most looking forward to, make sure you use a VPN to secure your connection so you can stream all the games! And, as always, Live Chat is available if you have any questions!